The RVTravel.com Newsletter publishes a pair of our locations every week. 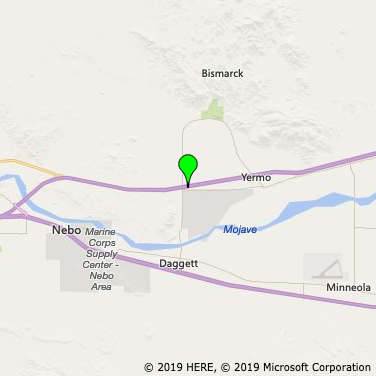 The two locations below were published on Mar 22, 2019. 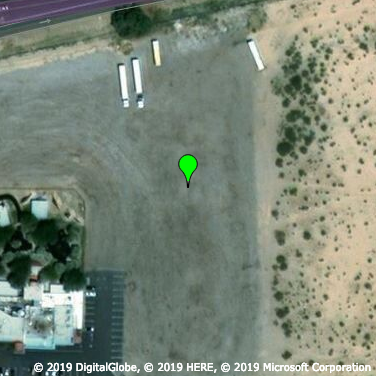 RVer reports that Overnight RV Parking is allowed, confirming 19 earlier reports from Feb 2007 thru Dec 2018. Please obtain permission from staff on duty, as we would at any retail or restaurant location. Lots of parking in lighted, level paved lot on E side of restaurant, or in level, unlighted gravel lot on W side. Additional ambient light from Marine Base baseball diamonds across the street. 18-wheelers also park here, so there may be some truck noise, but lot is large enough that you can park some distance away. Marine Base sounds 'Reveille' at 5:30 AM. One RVer also reports significant I-15 road noise. After a reported drop in food quality in about 2011-2012, RVers now report excellent food & large portions at very reasonable prices. The 1950's theme & nostalgic gift shop are highlights of this location. RVer report confirms reports from Apr 2010 and, 2015 and Oct 2018, & info provided by USFS. . Dispersed primitive camping is allowed. Terrain is not level, but level spots are to be found. No lighting, hookups, trash receptacles or other amenities. Location is quiet. No apparent security concerns other than isolated location. Follow all USFS Dispersed Camping rules. 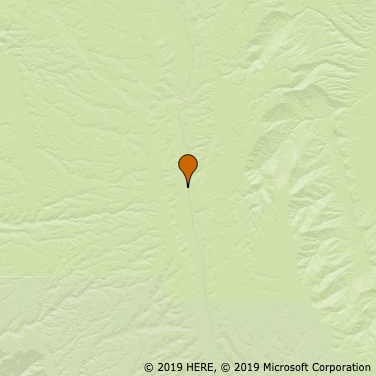 Area is available for dispersed camping from the time SR 67 opens at spring snow melt until snow closes SR 67 in the fall. Maximum stay: 14 days in any 30 day period. 2018 rate: Free. 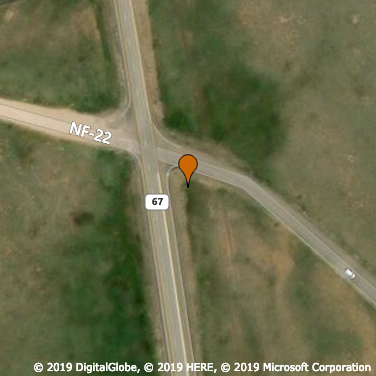 From jct of Alt US 89 & SR 67 in Jacob Lake, AZ go S on SR 67 ~ 26.5 miles (the 25.8 you have + the .7 to the new/actual intersection)then R (W) on FSR 22 or L ( E) on FSR 610 to dispersed sites.